Award-winning brand architect Suzie Domnick launched Harry Potter, rediscovered Supergirl and expanded the Stranger Things storyworld to create original fan experiences. I lead teams that transform filmed entertainment into franchise ecosystems, creating new experiences and entry points that delight fans around the world. Focusing on the intersection of intellectual properties and global community building, I collaborate with creatives to develop rich storyworlds which drive fandom throughout the real and digital world. My passion for authentic brand building is the foundation of my work. Throughout my career I have had the privilege of working with globally recognized authors, series and filmmakers, musicians and fashion designers whose unwavering passion has shaped my vision for the development of global brands and franchises. Highlights - Secured global interactive deals, a global comic book deal and a global publishing deal. Created the Stranger Things brand-bible and a wrote a five year cross-divisional road-map for the brand. Built trust with the show-runners to allow original creative development. All these projects were strategically planned to launch as bridge content for fans between seasons 2 and 3, paving the way to increase the global success of this amazing entertainment well into the future. As the Global Franchise Development lead at Netflix I had the opportunity to work on Stranger Things with Matt & Ross Duffer, the creators of the show. Both of them are visionary beyond their years. Their passion for each thoughtful moment of content on screen was both inspiring and contagious for my franchise work on Stranger Things. My goal was to understand their vision for storylines surrounding the series so I could go about creating compelling experiences for consumers in publishing and interactive, in addition to strategically guiding the development of all consumer products. I crafted a multi-year franchise plan that outlined the entire world of Stranger Things from content to marketing, publishing, interactive, live events and consumer products releases. Understanding the landscape enabled us to synchronize and orchestrate an ebb and flow of activity to drive fan engagement around Stranger Things throughout each year. As a companion piece to the franchise plan, I created a Stranger Things brand bible to help guide internal and external partners around the world. The brand bible lays out the DNA of the brand (lore, characters, world and storylines), the details that make Stranger Things so familiar yet original, and a comprehensive analysis and understanding of how to engage the fans of the series. Having established the big picture road map for the series, I then worked to secure world-building partnerships for Stranger Things that allow fans to experience the intellectual property in new, and more personal ways. Collaborating with Matt & Ross, we developed original storylines for partners to explore that would be additive to the Stranger Things world. Anchoring publishing with Penguin Random House and comics & graphic novels with Dark Horse provided trusted creative partners with global distribution. I also signed Telltale Games to develop the next version of their signature branching narrative games for Stranger Things, to give fans their first immersive and personal Stranger Things experience. harry potter @ Warner Bros. Highlights - Led creative on the original franchise planning and visual development of the brand. Launched the consumer products for Harry Potter globally. This work became the foundation for building the Harry Potter brand, which has become one of the largest global franchises of our time, currently valued at $25 billion. I joined Warner Bros. Consumer Products as the Vice President of Global Marketing, and within a few weeks, a book was placed on my desk entitled Harry Potter and the Sorcerer’s Stone. My role was to collaborate with then little-known author JK Rowling to understand her vision for the book series, and craft a long-term franchise plan for the beloved book series. I was also responsible for bringing the Harry Potter world to life visually with iconic and timeless artwork worthy of JK Rowling's thoughtful words on the page. I developed a franchise strategy for the licensing that involved two separate but equally important creative programs. The initial launch for consumer products was an illustrative classic Harry Potter program that was faithful to the books and an evergreen program. The second program was a unique theatrical merchandise program that was planned to release around each film window. The strategy was to create a balance between the two programs with the goal of building a new right of passage through the magical world of Harry Potter for both girls and boys. The creative development for the brand included everything from style guides, to packaging, to brand marketing of Harry Potter. Numerous elements from the original style guides that I developed are still being used today, such as the golden snitch HP logo. It was a magical journey and an experience I will cherish always. SUPER GIRL @ WARNER BROS. Highlights - Rediscovered SuperGirl and launched her as a girl-power brand. 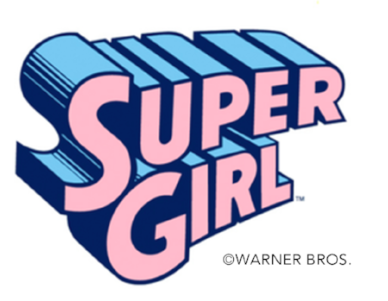 I developed a girl-power lifestyle brand based on Supergirl. During a frenzy of girl-targeted properties, Supergirl was a real superhero, a much needed empowering character for tween girls. During my tenure at Warner Bros., I also oversaw all DC Comics global brand development and marketing. I did a review of all of the characters, and believed that Supergirl was a character that could really stand for something, but was underdeveloped and underutilized since being tragically killed-off in the comics. We kept her amazing lore but gave her a “voice”, attitude and a mission that was relevant and inspiring to contemporary girls. This was kicked off with a “Hey I’m SuperGirl” tween-girl lifestyle marketing campaign. The program was extremely well received by licensees, retailers and consumers, and this previously overlooked fringe character quickly became a highly successful annual revenue stream for WBCP, a top rated TV series and now, a recently announced feature film. Highlights -Developed the first SVOD Kids franchise strategy that united a cross-functional team around Netflix first owned kids original. The experience with Super Monsters gave me unparalleled knowledge of how kids content needs to be developed and marketed in order to achieve success on SVOD. I developed a multimedia franchise plan for Super Monsters, Netflix’s first owned kids original, and aligned activity across multiple departments in a effort to shift away from a season to season strategy and drive member interest in the series year round. This strategy was important to ensure Netflix’s first owned kids property transformed into to a perennial preschool favorite that was competitive with other preschool properties. Data was key to developing the Super Monsters franchise strategy in the new world of SVOD. Household viewing patterns present a unique opportunity for SVOD kids properties, as binging shifts the traditional kids format and challenges the sustained affinity for a series. Since repetition and marketing are critical to the success of kids content there is a lot to test and learn in a SVOD world. One of the key insights was the need to for additional content and marketing between core content drops and/or smaller more frequent content drops. I collaborated with the Kids content team on the development of Season 2 to enhance its toyetic appeal, as well as bridge content (music videos and shorts) to stimulate member interest for the series between seasons. I also crafted additional storylines for extensions into publishing and interactive, while also supporting consumer products partners. I developed all sales and development materials for the property and successfully pitched partners on the unique opportunity that Super Monsters presented as Netflix’s first owned kids original. batman & superman @ warner bros. Highlights - Led the effort to continue these superhero’s epic success by changing studio’s approach to franchise management. I worked on numerous Batman and Superman projects in support of TV programming for the brands and upcoming theatrical releases. One pivotal project was to better understand the decline in the Batman brand and the evolution of the boys property space, that Batman had dominated for many decades. I commissioned a global research project to gather data about the property’s affinity with young boys. We found that even though Batman was a legacy property with long term success its future triumph was dependent on constant evolution to ensure the property remained relevant to the target demographic. The project findings affirmed that boys still loved Batman, but they wanted him to feel and be more contemporary. The research findings guided the creative development for the brand, and brought to light new approaches for both content and merchandise that would help re-energize the brand. To that end, I worked on the launch of the futuristic Batman Beyond series, a grittier take on Batman that aged up Batman and recaptured the brand's cool factor. Highlights - Led the franchise creative for nine years, culminating in overseeing construction of a $40m permanent attraction. As the Vice President of Worldwide Merchandising at Paramount Pictures I had the incredible honor to meet and briefly work with Gene Roddenberry, the creator of Star Trek. Spending time with Gene to understand his futuristic vision for the universe was a truly memorable experience, one that had an indelible impact on my efforts surrounding Star Trek brand. I oversaw the development of award winning creative guides, globally successful product lines, interactive games and experiences that enabled us to exponentially grow the global Star Trek fan base. One of the most exciting projects I oversaw was the development of a $40M+ permanent Star Trek attraction that was built in partnership with Paramount Parks at the Hilton in Las Vegas. Opened in 1998 it was mecca for Star Trek fans. The guest experience began with the History of the Future, an amazing museum of Star Trek artifacts that led to a state-of-the-art simulator ride, the Klingon Encounter, after which guests walked into Quark’s Bar and Emporium for dining and shopping. This project was particularly challenging because after working on Star Trek I was acutely aware of the need for absolute accuracy in all elements of the attraction if we were to suspend belief and transport fans to another dimension for a few hours! Highlights - Managed series development, established brand guidelines, and led consumer products creative development around the world. I was fortunate to work with Huck Scarry, Richard Scarry’s son, to extend his father’s cherished library of over 300 books that have sold over 100 million copies worldwide. 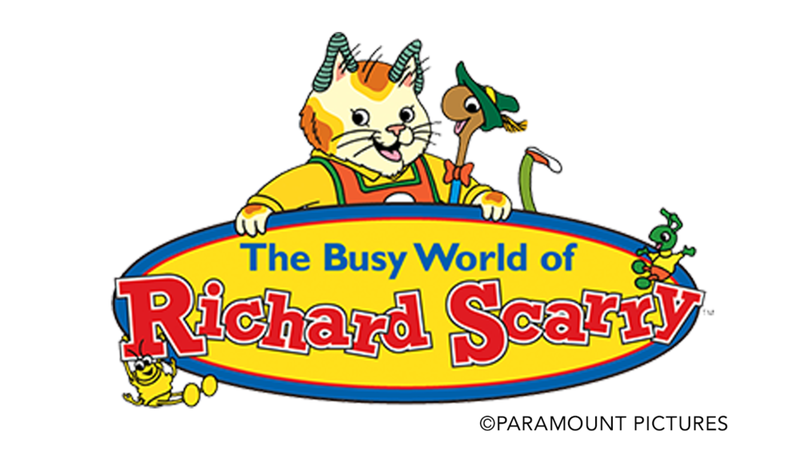 Collaborating with animation producers Cinar, we brought Richard Scarry’s most beloved Busytown characters to life in a faithful television series for five seasons. On a parallel path I established the creative guidelines for the brand, and oversaw the developed a global licensing program with key partners such as TOMY, Gund, SEGA, Ravensburger and McDonalds, to name just a few. An audiences relationship to entertainment has changed; I work to reinvent how franchises are developed and managed for today’s consumers. The classic definition - a collection of related media in which several derivative works have been produced from an original creative work, such as a film, a work of literature, a television program or a video game. I shift this paradigm away from derivatives and focus on collaborating with creators to develop robust storyworlds that enable us to build multimedia intellectual properties. My work ideally begins at the concept stage prior to development of a series, film, book or comic, or interactive game, however I have become equally adept at developing existing content. The focus and goal is to build a foundation for a franchise that affords scale for global growth and long-term success. My process crafts a plan that outlines everything from world-building storylines, IP lore, defining bridge content, identifying partners and a merchandise strategy (product, publishing & interactive), and comprehensive fan engagement thought leadership. The goal is to construct a robust ecosystem where consumers engage in original (not derivatives) and memorable experiences with an IP across multiple platforms. Consumers can connect independently as well as participate in shared experiences with an IP, encouraging audience participation, collaboration and personalization is fundamental to how we build global fan communities. In today’s competitive landscape, if an intellectual property has the potential to scale and become a global brand, it is critical to imagine and plant the seeds for that success. I’ve been called a Franchise architect because my methodology provides the strategic building blocks, storyworld development and engagement leadership needed to bring teams together cross-divisionally and globally around a franchise. Having worked at three Hollywood studios I have sat through and participated in the fate of many pitches! I was always looking for that spark of originality that we believed had potential to be developed not only into content but other opportunities as well. Over the last decade I have watched the landscape of content development, whether based on existing IP or a new IP, shift drastically as SVOD players gain momentum, if not dominance, and viewing habits change. I have had the privilege of collaborating and learning from incredibly talented creators; series and film makers, authors, fashion designers, and even musicians. This knowledge combined with my experience building global brands enables me to think about IP development in an untraditional and rather limitless manner. I currently work with creatives by listening to their vision and then collaborating with them to develop a more robust property. The expansive creative thought leadership I bring to the IP development process broadens the overall opportunity that is then pitched to studios and networks. A brand is not defined by a logo, an identity or a product. A brand is a collection of feelings, thoughts, emotions and experiences a person has about your content, product, service or company. Throughout my career I have been fortunate to work on iconic global brands in entertainment, music, fashion and even non-profit. The diversity of my experience affords a deep knowledge and ability to create an emotional connection with consumers that drives engagement around a brand. My strategic branding process digs deep but begins by asking two questions, “why do you exist?” and “what makes you different?” Answering these questions enables us to begin to establish your Point of Difference in the marketplace and set the foundation needed to build a long-term brand that becomes an essential if not a valued part of a consumer’s lifestyle. We apply this knowledge as we construct and execute a brand strategy that emotionally connects with consumers forging a bond with brand advocates that drives success. A brand isn't what you say it is, it's what consumers experience and believe it to be. My proprietary methodology ensures your success through emotional branding, advanced data insights and strategic development to build a global multimedia brand. I have held leadership positions in consumer products at Paramount Pictures, Warner Bros and most recently Netflix. Over the course of my career I have developed and managed some of the most globally recognizable entertainment brands from Harry Potter to Star Trek to Supergirl and most recently Stranger Things and Super Monsters. My success is rooted in my passion to understand the vision for an intellectual property by building a trusted bond with content creators. This connection enables me to be limitless in my imagination as I work to extend the storyworld into memorable experiences for fans across multiple platforms around the world. My passion and my career has been focused on building indelible global brands that emotionally connect and enrich consumers lives through innovative experiences. Most recently I headed up Global Franchise Development for Netflix where I managed the strategic development of Netflix Original series, films and kids content for the global merchandise team. I identified properties that had franchise potential, and worked with the Netflix content teams to strategize world-building opportunities that expand the fanbase and increase the value and longevity of the intellectual property for Netflix. Additionally, I strategically developed and launched Netflix's Publishing and Interactive initiatives in support of original entertainment properties, such as Stranger Things, A Series of Unfortunate Events and Free Rein. Prior to Netflix I ran my own brand and marketing agency and was the Vice President of Worldwide Marketing for Theatrical and DC Comics properties at Warner Bros. Consumer Products, and Vice President, Worldwide Merchandising at Paramount Pictures. Highlights from my career include the strategic development and visual styling for Harry Potter, developing Supergirl as a lifestyle brand for tweens, as well as guiding the creation of the Bubba Gump Shrimp Company restaurants, Star Trek Experience and the Star Trek World Tour. Throughout my career, I have innovated and created entrepreneurial opportunities within the entertainment franchise, branding, licensing and marketing world.